Northern California PBS and NPR member station KQED and its partners have received a $3 million grant award from the National Science Foundation (NSF) for the project Cracking the Code: Influencing Millennial Science Engagement. The grant will run through September 2021, providing funding for a new, major science media research initiative. The three-year project is spearheaded by Sue Ellen McCann of KQED’s science unit and also includes Sevda Eris and Jen Brady of KQED’s science engagement staff. KQED’s team will be working in close collaboration with Asheley Landrum of the Science Communication and Cognition Lab of Texas Tech University with consultation by Dan Kahan of Yale Law School’s Cultural Cognition Project. KQED will adapt and expand on Landrum and Kahan’s earlier joint research on science curiosity to increase the engagement with its existing science audience and also to reach new under-engaged or “missing” audiences within the millennial generation. “Dan and I are excited to use our extensive research on the science of science communication and science curiosity as a springboard for helping KQED and the overall public media system figure out how best to optimize their great science content for engaging millennials,” says Asheley Landrum of Texas Tech University. “It is a tremendously gratifying experience to be working with KQED on this project. This is exactly the sort of collaboration between scholars and professional communicators needed to advance the science of science communication,” says Dan Kahan of Yale Law School. Millennials, born between 1981 and 1996, are projected to soon be the largest and most diverse adult generation in the U.S. They have already radically changed media consumption habits and will continue to do so. The future of public understanding of science and critical public policy decisions will require millennials to comprehend data and findings from modern science and technology reported in today’s vast and fractured media landscape. Because the media landscape is changing rapidly, science media producers need more effective strategies for communicating scientific information to this generation that sparks their curiosity and connection to science. KQED believes the future of public media depends on reaching and keeping this critical audience engaged. The project’s website, KQED.org/CrackingtheCode, will feature regular updates on findings throughout the project’s lifecycle and include the final report. The Cracking the Code project builds on the joint science curiosity research of Landrum and Kahan as well as the first-ever national millennial science media habits survey conducted in the spring and summer of 2018. This exploratory survey was executed by Jacobs Media Strategies and made possible by a grant from the Templeton Religion Trust and Temple World Charity Foundation and included the collaboration of Landrum and Kahan and several renowned media partners: NPR News, PBS NewsHour (WNET), PBS Digital Studios, Science Friday (WNYC Studios), Nature (WNET), NOVA (WGBH), UNC-TV Public Media North Carolina and Twin Cities PBS and Scientific American. 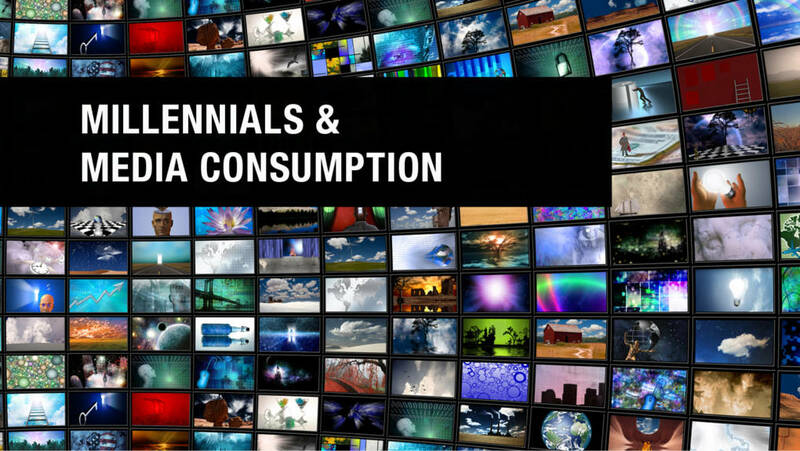 KQED also commissioned a second millennial science media habits survey spearheaded by Texas Tech University and The Cultural Cognition Project at Yale Law School to verify the results of the first survey. The second survey was conducted January-February 2019 by Matthew Motta, a postdoctoral fellow of the Annenberg Public Policy Center of the University of Pennsylvania and the Cultural Cognition Project at Yale Law School. Although the two surveys varied on their findings for the level of science curiosity of millennials — which may be due, at least in part, to the different methods and survey companies used to sample participants — both surveys did conclude that millennials form a substantial part of a “missing audience” for science media content. The results of both surveys and summary findings can be found here. Asheley R. Landrum is an assistant professor of science communication in the College of Media and Communication at Texas Tech University and is a co-principal investigator on the NSF grant. Her research lab, the Science Communication and Cognition Lab, investigates how cultural values and worldviews influence people’s selection and processing of science media and how these phenomena develop from childhood into adulthood. This work bridges theories from communication, psychology, political science and public policy. Dan Kahan is the Elizabeth K. Dollard Professor of Law and Professor of Psychology at Yale Law School. He leads the Cultural Cognition Project, a group of scholars interested in studying how cultural values shape public risk perceptions and related policy beliefs. Cultural cognition refers to the tendency of individuals to conform their beliefs about disputed matters of fact to values that define their cultural identities. The Project also has an explicit normative objective: to identify processes of democratic decision-making by which society can resolve culturally grounded differences in belief in a manner that is both congenial to persons of diverse cultural outlooks and consistent with sound public policymaking. The evaluation of this project will be conducted by Scott Burg, a senior research associate at Rockman et al, an independent evaluation, research and consulting firm focusing on studies of education, technology and media. Major funding for this project is provided by the National Science Foundation. Both surveys were generously funded by the Templeton Religion Trust and Temple World Charity Foundation with additional funding from the National Science Foundation. The verification survey received further funding from the Annenberg Public Policy Center of the University of Pennsylvania. KQED Science is the largest science and environment journalism and education unit in the Western United States. The science unit explores science and environment news, trends and events from the San Francisco Bay Area and beyond with its award-winning, multimedia reporting. The unit produces weekly radio reports, a YouTube nature series Deep Look, resources for science teachers and other educators and blog posts from prominent science experts. It also engages with its audience on social media, through community events and through partnerships with renowned science centers and institutions. Discover more about the unit at KQED.org/science.